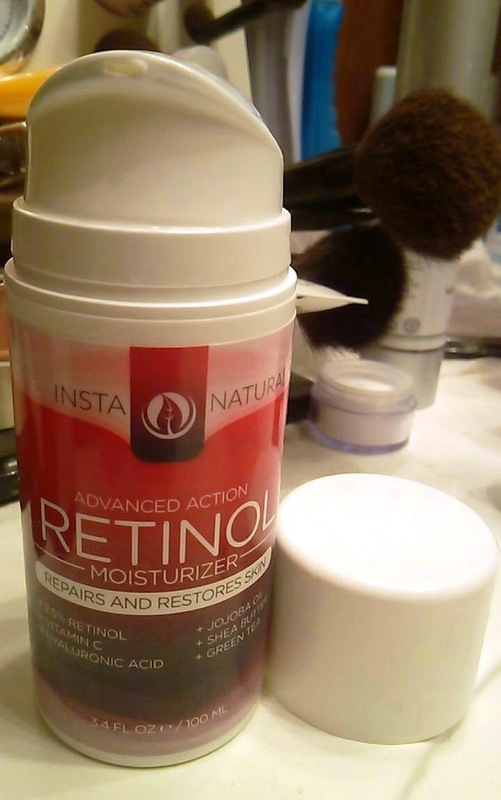 Advanced Action Retinol Moisturizer by InstaNatural contains 2.5% Retinol (Vitamin A) which helps to diminish the signs of aging like spots, lines, wrinkles, rough texture, and more. This moisturizer also contains Vitamin C, Hyaluronic Acid, Jojoba Oil, Shea Butter, and Green Team for hydration and to repair existing damage. This moisturizer is a creamy white hydrating product that absorbs quickly and doesn't leave any residue or greasiness on my face. It does have a high amount of Retinol so I only use it at night to avoid irritation. With my dry, irritated winter skin, I did experience a little redness after using this, but I think that's just from my skin being really sensitive right now. Overall though it left my skin clear and healthy-looking plus it was hydrating. Retinol works well for both blemishes as well as anti-aging, so it's one of the best ingredients in a skin-care product to cover all the bases. Overall, InstaNatural's Retinol Moisturizer is hydrating, effective, and made with quality ingredients.